We communicate with each other digitally on a daily basis, from our boss to our parents and friends, we are almost constantly texting and messaging people on our phone. This, however, can lead to a lot of awkward texting situations, whether it’s autocorrect ruining your day or texting the wrong number, there is almost an endless supply of awkward texts out there! 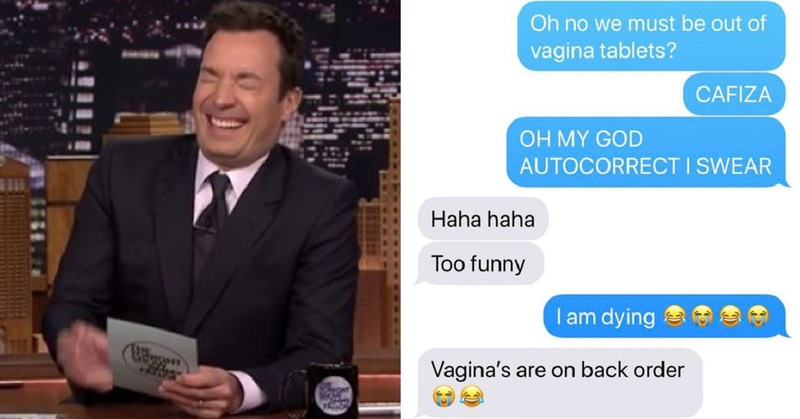 Late Night host Jimmy Fallon decided to take to Twitter in order to collate a list of the most awkward texts ever and people have been sending in their most cringe-inducing texts EVER. Some of these are so bad that you will literally feel your toes curl, at least you can thank the universe that you weren’t the sender of any of these texts. 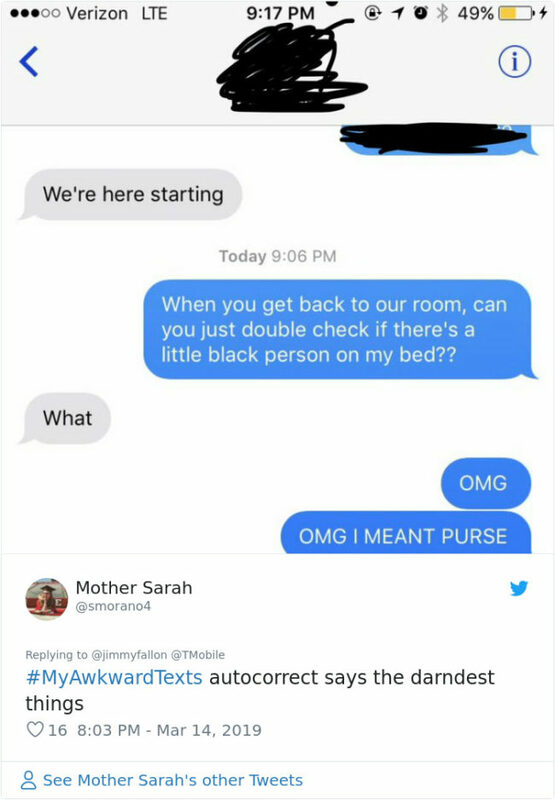 Just remember, always double check your message and who you are sending it to before pressing send! Sometimes it feels as though autocorrect actually enjoys ruining people’s days. Thankfully, this person managed to save themselves before their friend tentatively checked their bedroom for a random intruder. 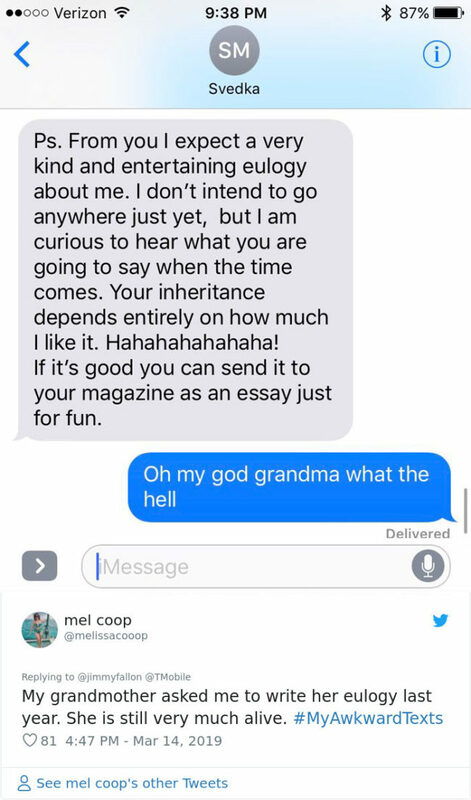 I enjoy how this Grandma can have a laugh and make a wild request for a eulogy like this. Yes, it is a pretty awkward text to receive and it’s probably something the recipient doesn’t really want to think about just yet. However, this grandma is definitely the coolest!